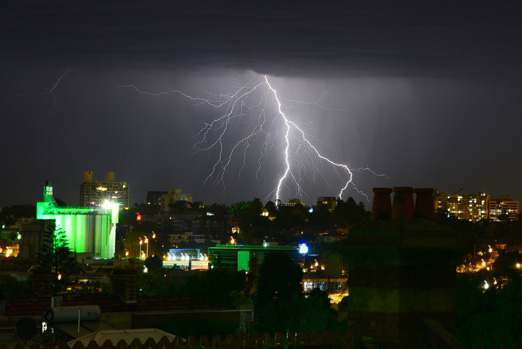 Image shows a lightning storm over Melbourne. Credit: Chris Phutully. Severe storms and looding can have a substantial economic impact through property damage and, in some cases, injury and loss of life. With suicient warning, the public can take action to mitigate some of these impacts. Monitoring and predicting the intensity, time and extent of severe storms depends of the availability of precise water vapour information. Existing techniques of sensing water vapour in the atmosphere (e.g. instruments on weather balloons) are expensive and not always timely, resulting in sparse measurement. The ability of space geodetic techniques to remotely sense the atmosphere has dramatically improved with advances in space-based technologies, large scale and dense CORS networks and the developments of new algorithms and methodologies. RMIT University, the Bureau of Meteorology, the Victorian Government, the University of Melbourne and the CRC for Spatial Information are working on ways to reduce the risks and impact of natural weather disasters through the emerging area of GNSS technology with a high spatio-temporal resolution for near real-time monitoring and forecasting. Four-dimensional (4-D) tomographic modelling for wet refractivity fields. Results have been highly promising, for both monitoring and prediction. Researchers found strong spatial and temporal correlations between variations in ground-based GPS-derived precipitable water vapour and the passage of the thunderstorm complexes (severe mesoscale convective systems). This indicates that the GPS method can complement conventional meteorological observations for the studying, monitoring, and potentially predicting of severe weather events. Results also suggest that GPS-derived precipitable water vapour can resolve the synoptic signature of the dynamics and ofer precursors to severe weather. The tomographic technique has the potential to depict the three-dimensional (3-D) signature of wet refractivity for the convective and stratiform processes evident in thunderstorm events. Wu, S., Manning, T, Yuan, Y, Wang, X, Kealy, A, le Marshall, J. 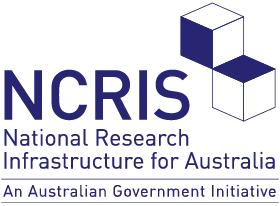 2014, “Strengthening Severe Weather Prediction Using the Advanced Victorian Regional GPS Network – a Recent NDRGS Project”; Zhang, K, Manning, T., Wu, S., Rohm, W., Silcock, D. and Choy, S. 2015, “Capturing the Signature of Severe Weather Events in Australia Using GPS Measurements”, IEEE Journal of Selected Topics in Applied Earth Observations and Remote Sensing, vol. 8 no 4, April, pp.1839-1847.